To combine makeup and cats, is the cutest way to grab anyone's attention. I (clearly) couldn't stay away from fairly recent Holika Holika x DODO Cat Collection, which was made in collaboration with French illustrator Audrey Jeanne and a cat lady herself. Entire collection is way too adorable to not admire at least one of the pieces. 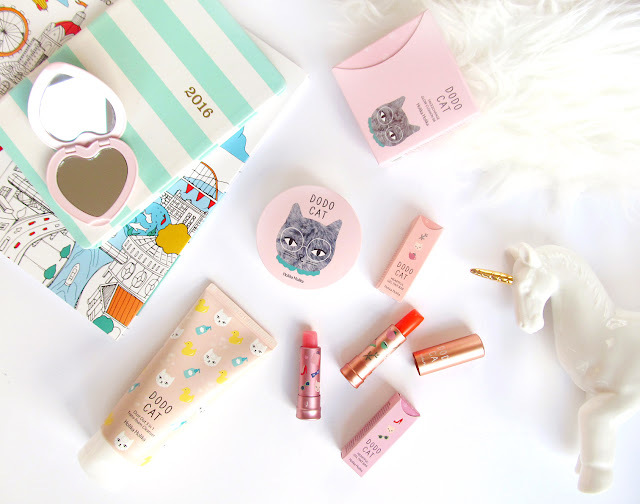 Pastel shades, cute cat prints and Holika Holika's style are match made in heaven. It was an urge to collect all pieces - one of the Glow Cushion BB (two designs), Dust Out 3 in 1 Trans-Foam Cleanser and both Hearthful Gel Bar Tints. 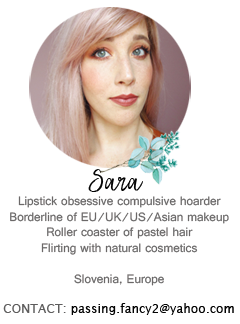 A collection worth a look and a precious collectible piece for any makeup addict. Holika Holika x DODO Cat is sold on Jolse, a Korean online store with free worldwide shipping. It's limited so be quick to collect any missing pieces. Heartful Gel Bar Tint (6,78$, shop online) act as lightweight, tinted, gel lipbalms and leave a longlasting stain afterwards. They're not the most intense treatments in lip care department but rather a good company on the go. With one swipe you're able to achieve that lit-from-within glow with a tint of colour, while swiping it several times it can bring a full on intensity. From pale pink up to cool fuchsia (#01 Pink) or from light pink up to warmer coral pink (#02 Coral). Both are scented like floral candies, somewhere between strawberry and orchid. Along with that, gel tint is shaped into a classic Holika Holika heart shape and the bullet is full of cute (kawaii) cat prints. Sturdy metal case is just perfect for handbags. Holika Holika DODO Cat Face2Change Glow Cushion BB (2 designs at 15,98$, shop online) has an added shiny essence in a shape of a cat paw. That means, that the cushion is exclusively glowy and perfect for normal or dry skintypes. It has a pearly effect, which looks unusually natural and unnoticeable on the sunlight. Skin looks perfected, glowy and natural. This also brings me to the next point. 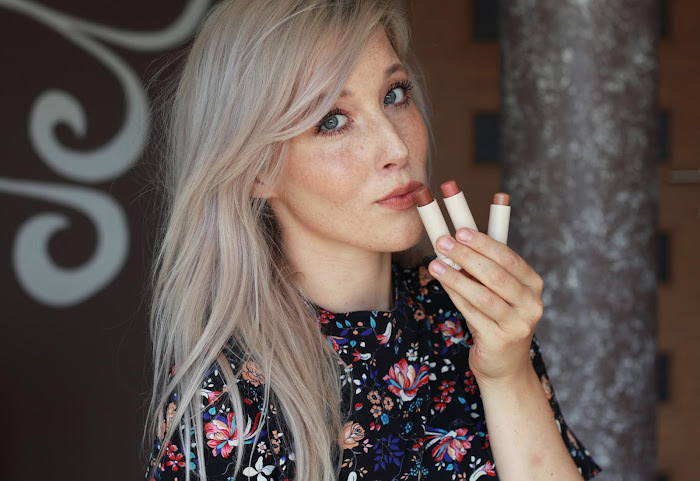 The lightest shade out of the two, #21 is perfect for fair ladies between NW15, NC15 and NW20. Blends beautifully with my skintone and has a fair medium coverage. One more thing I need to mention is quite a strong floral scent. If you're sensitive to strong scents, you might not be impressed with this one. Also, it can enhance large pores or imperfections, especially if have oily or combination skin. Still, it manages to cover and camouflage dry parts of the face. As all cushions, it comes in a handy compact form with perfecting pad for on-the-go application. 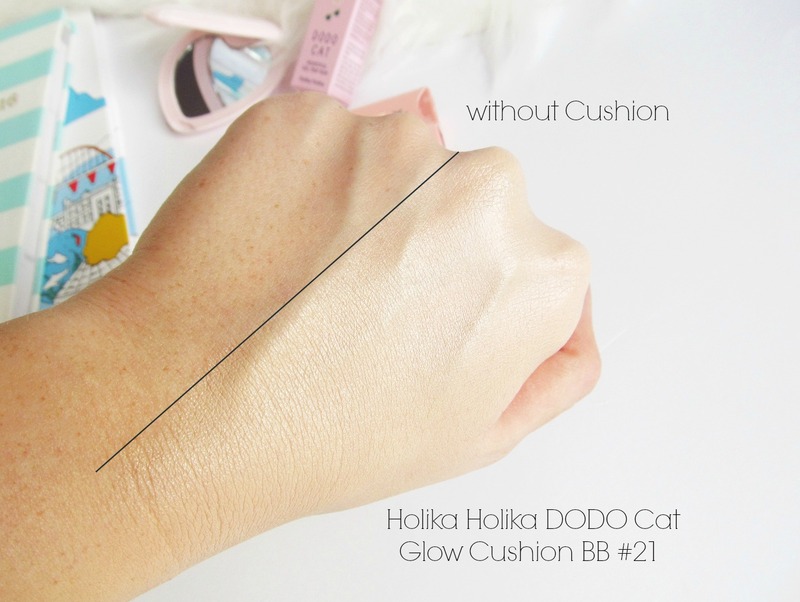 Holika Holika's refill can be purchased and fit into the cushion compact. Love at first tap! Holika Holika Dust Out 3 in 1 Trans-foam Cleanser (7,18$, shop online) is a multi-purpose product. Texture and final results are fantastic for combination and oily skintypes. Cleanser can be easily used in three ways: as a mask, as a cleanser or as a mild scrub. It has deep cleaning agent for thoroughly cleaning your pores and reduce sebum. Tiny particles also massage and improve skin elasticity. Texture reminds is similar to white clay and the afterwards result is squeaky clean. It truly removes any kind of dust and impurities but the cleansing effect is a bit too much for dry skintypes. Oily skin would love this and at generous 120g you can't really complain. I personally use it as a target product for pores around the nose. Yes, yes, yes! I'm totally in love and I would repurchase the entire collection in a heartbeat. Well, maybe not the Trans-foam cleanser, that's mostly suited for oily skintypes, but definitely Glow Cushion BB and both Heartful Gel Tint Bars. I can't stop looking at the entire collection and they're definitely a valuable piece to my Korean collection. You can find everything on my favourite Korean store Jolse at pretty affordable prices. kawaii *__* Res čudovita kolekcija. Cushion mi je najbolj všeč! I need it. I'm a dog person :P Ampak moram reči, da mi je ta bb cushion dizaj s taćko adorable <3 Se bom pretvarjala, da gre za leoparda :D. Drugače pa luškana kolekcija. This collection is so pretty! I love the illustrations and hopefully there will be more cooperations like this from Holika Holika. These are so cute and pretty! Thanks for reviewing these products! *-* I've been looking at this collection coz of the adorable packaging. Great review! that's so true makeup and cats OMG! LOVE IT! If you don't like to write custom essays, just let us do it for you! Don't you know how it works? Chat with our online representative and discuss all the questions you're interested at!